If you are into a full contact, full body workout, this bag may just be the bag for you. Personally, I love it! There are times you just want to give it all you have and you need a bag that can stand up to all you've got. This bag is thick so you can strike and whack and it keeps coming back. It will not give in before you do. It can handle the most intense work out. At six foot long, this bad bag has a large surface which is excellent for strikes and kicks. Twenty-two ounces of triple stitched vinyl nylon makes it quite durable. In fact, it is the most durable bag available. Being vinyl, it is much less expensive than leather. You can get this bag single or double ended, filled or unfilled. It is made in the USA and weighs about 125 unfilled and around 8 pounds filled. Revgear is a well-known, reputable company that provides quality MMA products. It is a company I am comfortable to represent and recommend as I have always been happy with their products. So if you are looking for an affordable, durable bag that offers a large surface and will take all you can dish out, this one is a great choice. Guys in the ring who are lightweight have about 8% body fat. This is how they move so fast, and what makes them like lightening. Getting lean is important to get you as fast as you can and be your best in your class. Wrap your hands when working on heavy punching bags, wear gloves, or both. To keep from getting bloody knuckles, apply wraps to your knuckles and wrists. Wraps are designed to provide support for your entire hand and wrist area. Though at this time you're probably not thinking about this, it protects your future. They also absorb impact which can help you avoid injuries now and can aid in preventing osteoarthritis later on. 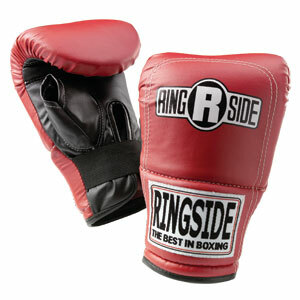 Gloves protect your hands and when working with the heavy bag. If you are a beginner and just wanting to get used to the bag or just wanting to perfect your technique, a lighter glove, such as a 10 oz, will be great. If you are more experienced, however, you will benefit more from a heavier glove. For more information on gloves, click here. 2. Warming up is just plain smart. Even the pros warm up before training and certainly before a match. Whether you choose stretching, shadow boxing or another form of warming up, just be sure you do so to help avoid injuries and to reach your optimal workout with the bag. Warm up on the bag too. Simply circle the bag, throwing light punches, concentrating on great technique. Two or three minutes of this not only helps ensure your form and technique, it will help you prevent hitting the bag too hard and incorrectly which can cause injury. Even after you have warmed up and your workout begins, continue to practice proper technique. You may be tempted to hit the bag hard rather than to improve your form but that is a mistake. Properly hitting the bag will get you much better results. 4. Throw your punches from a fighting stance just as you do in a real fight so you keep your techniques and fundamental precepts consistent. Failure to do so will make you tired and your punches sloppy. 5. It is important to practice your distancing when hitting the bag. Use a near full extension in order to exert the most force on the bag. If you stand too close, you not get the maximal results and if you stand too far away, you will only get minimal contact. One very important, but often overlooked, thing to consider is your breathing while training with the bag. Exhaling as you throw a punch will help ensure a continual supply of oxygen which will, in turn, feed the muscles. Failure to do so can deplete the body of oxygen and cause thoracic pressure which can result in injury. Not only will exhaling upon throwing a punch help you avoid complications of thoracic pressure, it will increase your power output. Taking good care of yourself is of utmost importance if you want to get the most out of training on the heavy bag. You will need to pay strict attention to your diet. Input equals output so you will not be effective if you are not getting the nourishment you need. Follow up after the workout with a balance of carbs and protein. You do not need fat directly after a workout. Working out will take a toll on your body so remember to drink plenty of liquids and get enough rest as well. 8. Want more instructions Damage control teaches you boxing from a MMA perspective. If you have to train at home, or want to up your skills for class, their online videos are worth looking at. The Cornerman is a heavy bag stand that is truly in your corner, a corner man (so to speak) for your MMA training! To understand the role the Cornerman plays, you must first understand what the term means in Mixed Martial Arts and other contact sports. 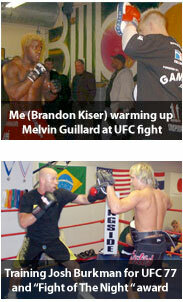 A cornerman is a coach, team mate or other helper assisting a fighter during the duration of a fight. He stays outside the combat area during the fight, but is there to help the fighter from "the corner". 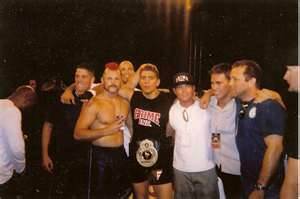 Recently at UFC on FOX 5 on December 9, Nate Diaz's brother, Nick, a former Strikeforce Welterweight Champion, WEC and IFC Welterweight Champion, was his cornerman. 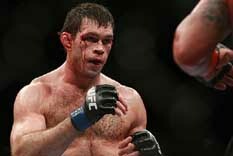 Also assisting was two other accomplished fighters, Gilbert Melendez and Richard Perez. Last but not least, Nate's coach, the renown Cesar Gracie was in is corner as well. Talk about some backup! This heavy bag stand was named such for good reason. 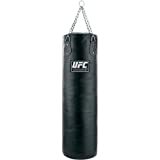 It is an assist to your workout and will help you win the game for the fact is...if your heavy bag doesn't hang right, your training is of no use. Purchasing a heavy bag and bringing it to the gym for or to your home is not enough. You need to hang the bag. More specifically, you need to hang it right, in such a way that you can get the most out of it. Hanging a heavy bag the old fashioned way can cause lots of problems. It can damage property and put holes in the wall or ceiling. 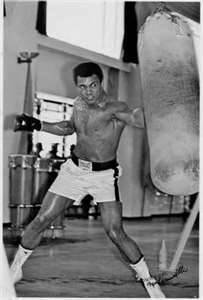 In the past there was really no viable option, even Muhammad Ali had to contend with hanging a bag and hoping it didn't give when he packed in the punches. It is optimal to hang the bag in such a way that it does not damage your ceiling. For those looking to hit points effectively, purchasing a bag for the corner would be a wise move. The Cornerman is a hanging apparatus that does not involve fastening any holders into the wall or the ceiling. That is great news for apartment dwellers, renters and even home owners who don't care to have gaping holes to deal with. That means you can avoid damaging the structure of the interior while, at the same time, having a secured heavy bag that can maintain a great deal of impact training. This can be achieved without undermining the integrity of the bag. How Hard Can You Hit It? Really, you would not want a bag fastened in such a way it cannot be used properly. 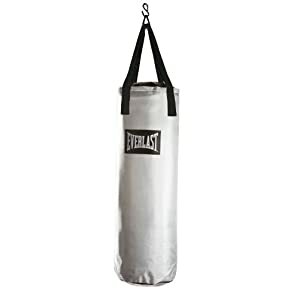 By using the bag holder, such problems are eliminating and you can still have an excellent heavy bag workout in the process. That means you can hit the bag as hard as possible and not have to worry about the base of the device moving or taking away from the workout in any way. While sometimes overlooked, one of the best benefits to using this stand is the fact that the device can be assembled anywhere and easily too! Once again, because you are not required to hang the bag by drilling screws in the ceiling so you are not limited to where you can place it. This opens the door for many people to own their own heavy bag that otherwise might not be able to. 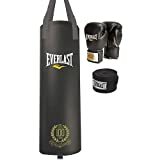 For example, someone living in an apartment might not even be able to use a heavy bag otherwise for fear of being evicted due to property damage. You may be concerned about the stability of a standing device. While such concerns are understandable, they are also somewhat overstated. The engineering that went into the development of this equipment was more than you can imagine. In other words, a great deal of care and attention when into the engineering of the Cornerman. As a result, it is a stable device that will not tip over. This makes it virtually identical to a hanging bag affixed by ceiling hooks/screws in terms of performance. It is indeed state-of-the-art! Now, some may be a little worried at the thought you need to assemble the Cornerman yourself. This could be considered its prime disadvantage. Some folks really do not like the idea of having to assemble a device on their own. However, this is not one that requires a degree in mechanical engineering to put together. Anyone with a basic understanding of proper assembly will be able to put it together with relative ease. One other disadvantage could be the size of the apparatus. Yes, you will need a bit of floor space to place the Cornerman in. Those with limited space may also be limited in where they can assemble the device. Yet, the disadvantages are for sure outweighed by its benefits. 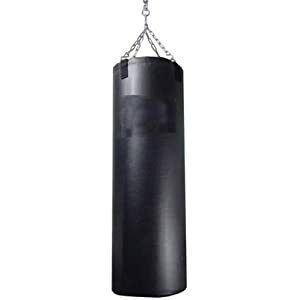 Those in need of a solid, reliable heavy bag apparatus will find this innovative piece of equipment to be awesome. The device is made from 2 inch x 2 inch tubular steel frame. The center support beam has five height adjustments from 82 inches to 106 inches which lets you to hang bags at various heights. The legs extend 7 9 1/2 in both directions from the corner and it is made to hold up to a 100 lbs. training bag. As I am sure you know, the training bag is not included. 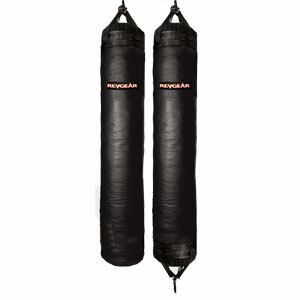 With the Cornerman, you may never have to miss out on a heavy bag workout ever again! Your Cornerman will truly be your cornerman when it comes to your MMA training...helpfully holding your bag securely in place, every punch of the way! 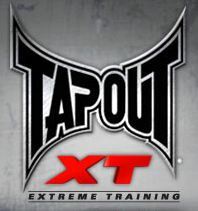 If you are involved in any martial art that involves striking, you need to take part in impact training. That means you need to hit a heavy bag to build up your toughness, conditioning, and endurance. But, do you need to work out on a traditional heavy bag? The answer is not necessarily as there have been unique advancements in the development of heavy bags. The Hydrocore bag would be considered one of the more original training devices produced in recent years. So, what exactly is a Hydrocore bag? Basically, it is a heavy bag that is filled with water as opposed to filling it up with sand or other similar items and materials. This changes some of the dynamics of the bag but it does not completely undermine the benefits of training on such a bag. Clearly, hitting a bag filled with water will not deliver the same level of resistance of a bag filled with same. However, this is NOT to say that there is not impact resistance with a water filled bag. You definitely will be hitting something solid since the shape of the bag holds in the volume of water in a condensed area. That means you will not experience an enormous amount of give when you hit the bag. Your fist or feet will sink deeper into the bag than it would if it was filled with sand. However, your impact will meet with enough resistance that you will experience clear strength and endurance results from working out on the bag. There can also be another advantage to using this bag. When you hit a bag that is filled with sand or other solid materials, your limbs need to be conditioned to deal with the impact. This is true whether you are wearing bag or boxing gloves or not. It is also not out of the question that injuries can result from hitting a heavy bag when you are not properly conditioned. With a Hydrocore bag, this may not be as much of an issue. The negative to this component of the bag is that you will not develop hand or foot conditioning as quickly. This can be problematic when it comes to getting the most out of your training session. One of the lesser mentioned benefits of using a Hydrocore bag is the ease of storage with such a bag. You always have the option of emptying out the water, folding the bag up, putting it away, and then pulling it out and refilling it when you wish to hang the bag again. Granted, you would not be doing this every night but when the time comes where you need to store the bag or transport it, you can do so easily. This would certainly not be the case if the bag was filled with sand. Ultimately, using the bag comes with a variety of lesser known benefits which make it quite the helpful training tool. As such, it remains highly recommended to those looking for a unique spin on a classic training device. It is made of a vinyl shell. It is fiber filled. The chains are sewn to the web straps. This makes it a very secure bag for hanging. We have 3 sizes. I recommend you go with the heaviest you can, unless it is for a child and I'd get a 40 lb bag. The Century heavy bag comes in 40 lb, 70 lb and 100 lb sizes. The Century heavy bag ships fast if you buy it from our store. This item ships from Oklahoma, UPS. It will arrive in 2-5 business days. We ship no later than 48 hours, but often ship the same day! WHY TRAIN WITH THE CENTURY HEAVY BAG? Why? Just look at that power above...That is why! 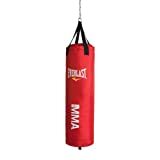 The heavy bag has been a popular piece of training equipment for so long, it is legendary in the sport of boxing and MMA. Professionals as well as amateurs use the bag to get in shape as well as to practice techniques. With minimal time invested, amazing results are apparent right away and the harder and more often you train, the more visible the results. 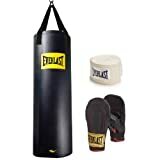 Though the heavy bag is a simple piece of equipment, consisting of a stuffed leather or vinyl bag, it is great for a full-body workout, defining specific muscles, sharpening self defense skills, building punching power, improving techniques and increasing stamina and strength. One really important advantage of a heavy bag training is the cardio benefits it provides. Cardio is one of the most important factors in a fight. Take Nick Diaz' fight with Lightweight Champion Takanori Gomi at Pride 33. Diaz attributes that and many other wins to his great cardio fitness. Just a few minutes training on the bag provides an awesome aerobic workout. You can gradually increase your training time to gain even more cardio strength. 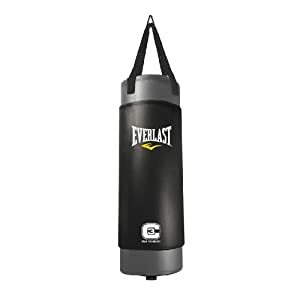 The original purpose the heavy bag was designed for ways to enhance punching power. 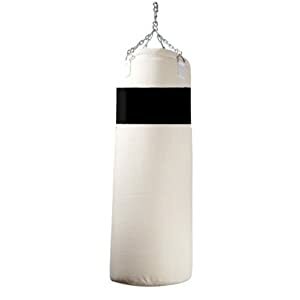 The bag provides the perfect opportunity to practice punching techniques with great force, something that cannot be done with a partner. Various punches work various muscles. Straight punches, like the right cross and jab, work on the shoulders and chest while hooks and uppercuts develop the back and arms. 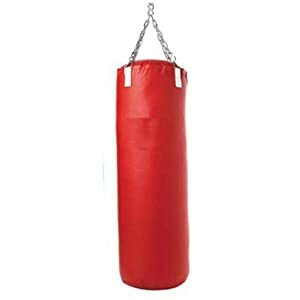 Along with developing punching power, another original intent of the invention of the bag was for improving boxing technique. There are specific strategies to develop specific techniques. These target exercises can be done in a more relaxed manner knowing the bag, unlike an opponent, will not hit back. 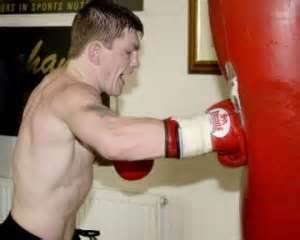 Being relaxed and in the correct stance will make your punches sharper and more powerful. Improving coordination is yet another attribute to a heavy bag workout. Circling the bag and throwing combination punches is one way to work on coordination. Transferring weight from one foot to another, keeping on your toes and throwing target punches are other ways to develop coordination as well as stability, posture and a certain amount of grace. Some train on the heavy bag solely for self defense purposes. Not only does the bag offer a great object to get technique down on, it can be manipulated to move around which can be mimic a person coming at you. The bag can be swung to simulate a moving target or even bob and weave it so you can set up punches. Just getting used to hitting an object helps prepare you for a possible real life situation. It goes without saying that the bag is ideal for getting in shape. You will see speedy results. It's great for getting rid of body fat and detailing muscles. Last but not least, working out with the heavy bag is a wonderful de-stresser. Whether you just release extra energy by punching or take out a specific frustration on the bag, you will feel better after doing so. Imagine, all these uses for one bag! You are good to go so it makes for a very inexpensive workout with tons of benefits. For some boxing tips, damage control has a video on line that you can view for free. You need to scroll down near the bottom of the page...Train hard and win!